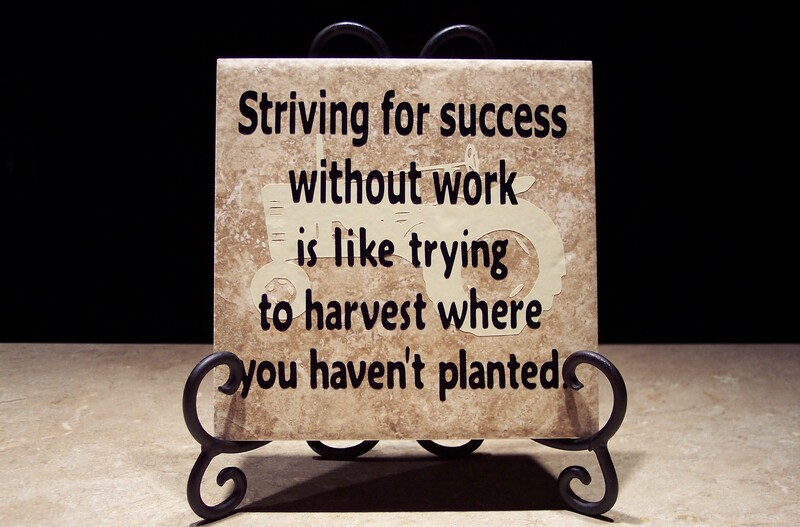 Striving for success without work is like trying to harvest where you haven’t planted. This tile is dedicated to our dad. He’s been a hardworking farmer all his life. 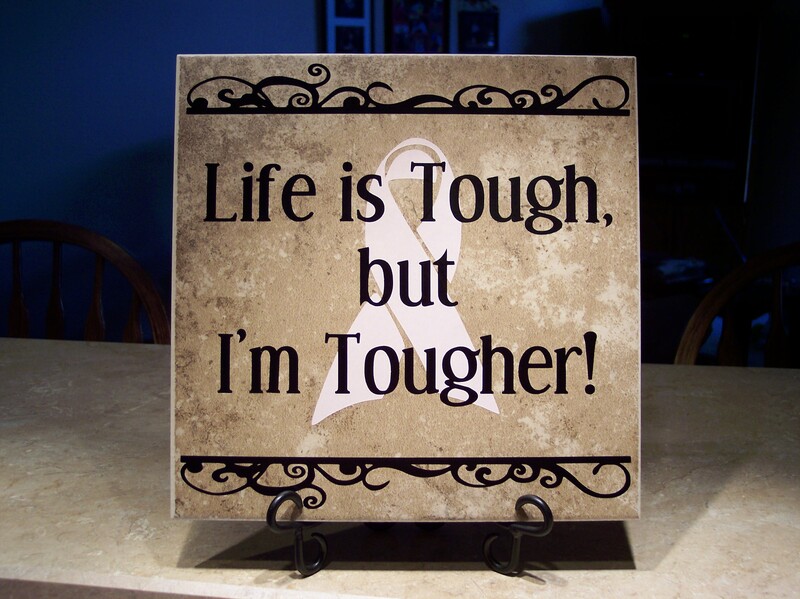 This popular saying is now available in a 6″ tile due to popular demand! ALSO AVAILABLE as a 12″ tile = $19. 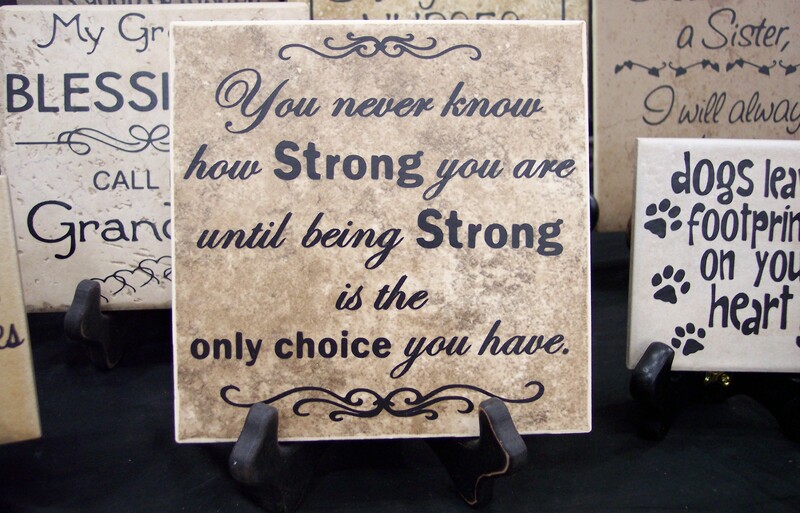 See photos of the 12″ tiles by typing “You are strong” in the SEARCH box above. We have it made several different ways now. Please email oreillytiles@gmail.com to order. 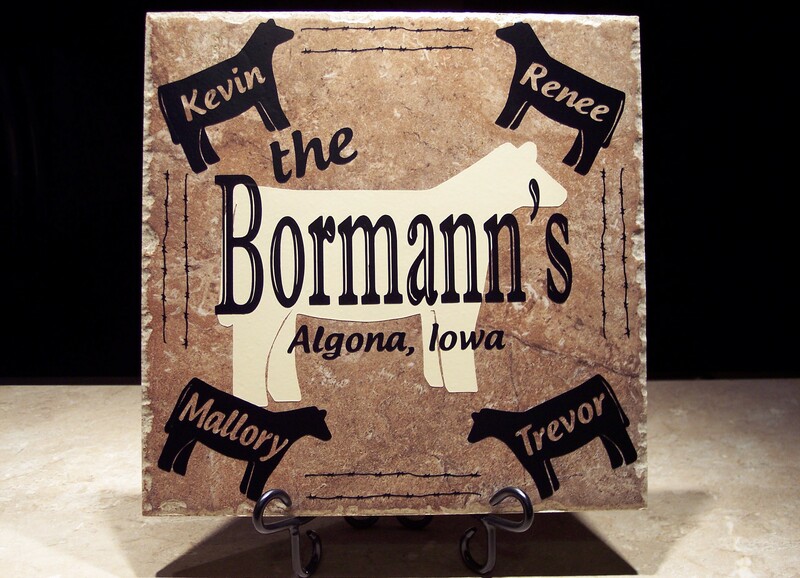 This is just an example of another tile we can create for you! 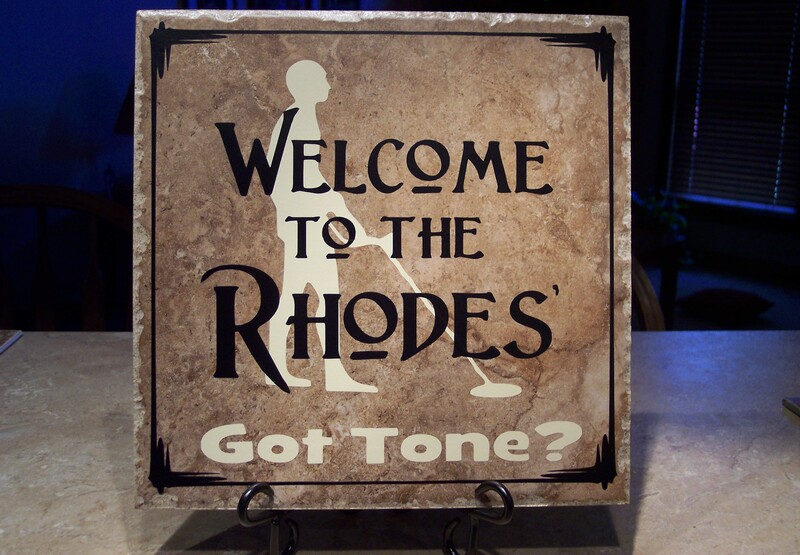 This was a special request saying, and we added a little hot pink vinyl to really set it off! 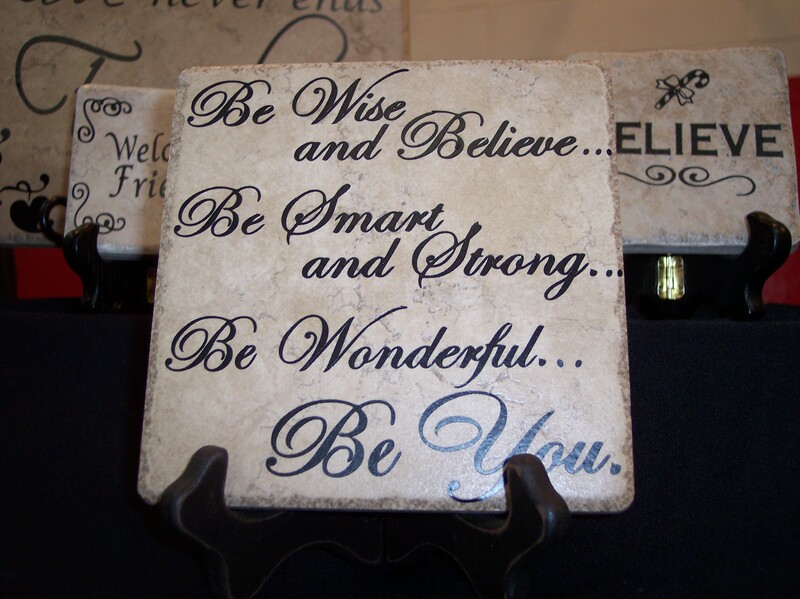 Personalized 6″ or 6.5″ tile with your own saying on it – $20. Add $2 for colored vinyl. 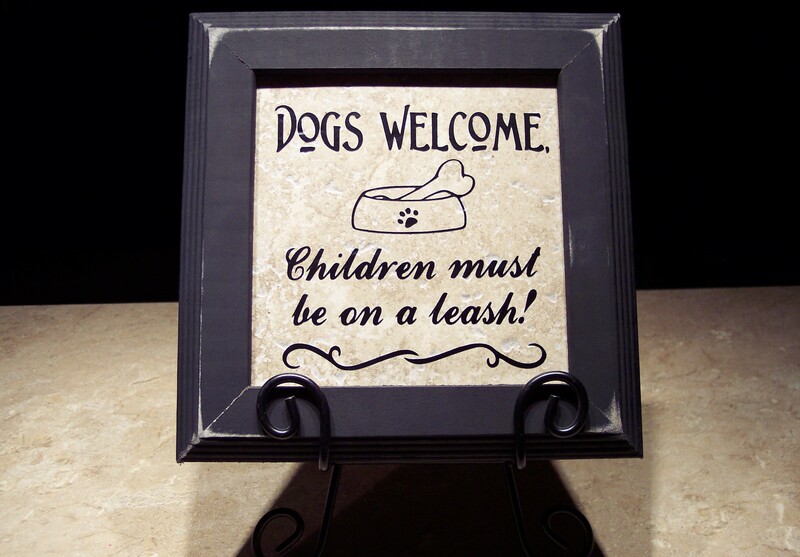 Dogs Welcome, Children must be on a leash! 3-legged easel stand – $7. CHECK THIS OUT! This is not vinyl. This is a sandblasted design in a granite tile — just like headstones in a cemetery. Completely Different Product than our regular line of tiles. This is a custom-made order created by a friend of mine. 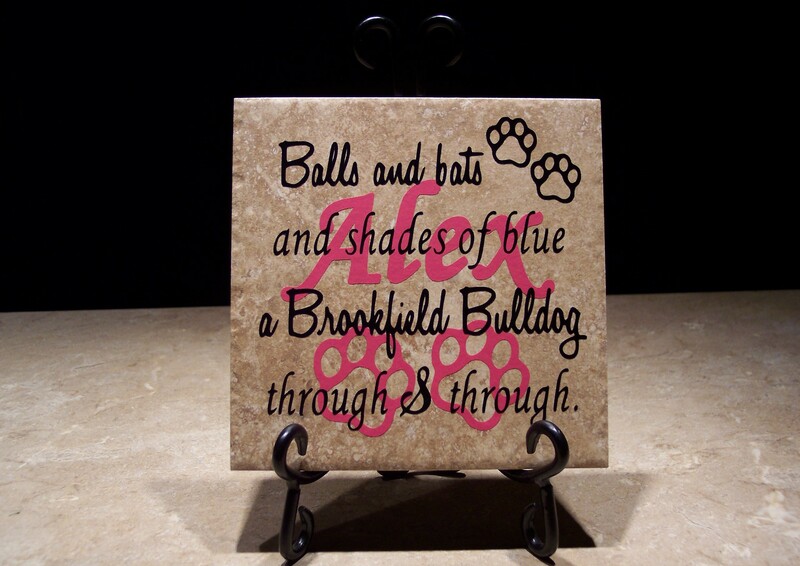 We are now offering these for sale on our website for the fabulous price of $28 for each tile!!! The words are actually sandblasted out of the granite tile using the same process that is used to carve names in headstones. Then he uses a special paint created for headstones to emphasize the white lettering. 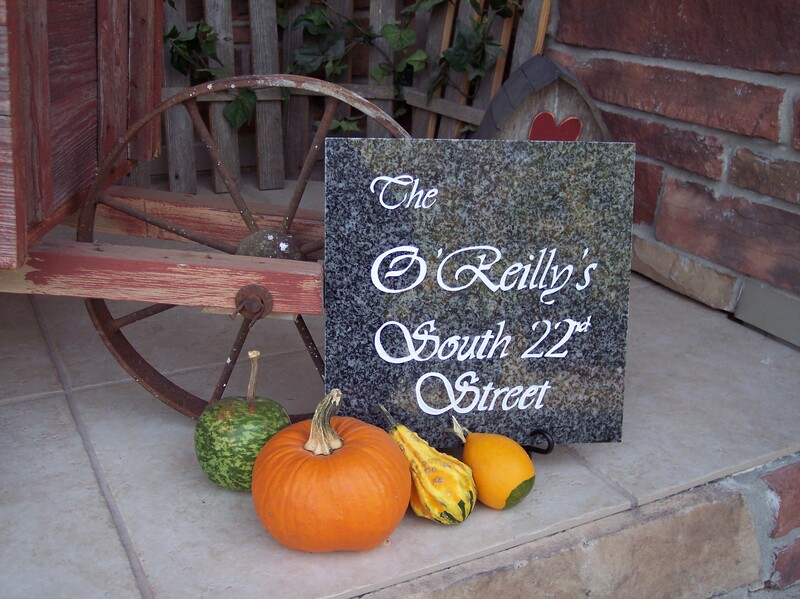 Contact us at oreillytiles@gmail.com to request one for yourself or for a fabulous personalized gift! 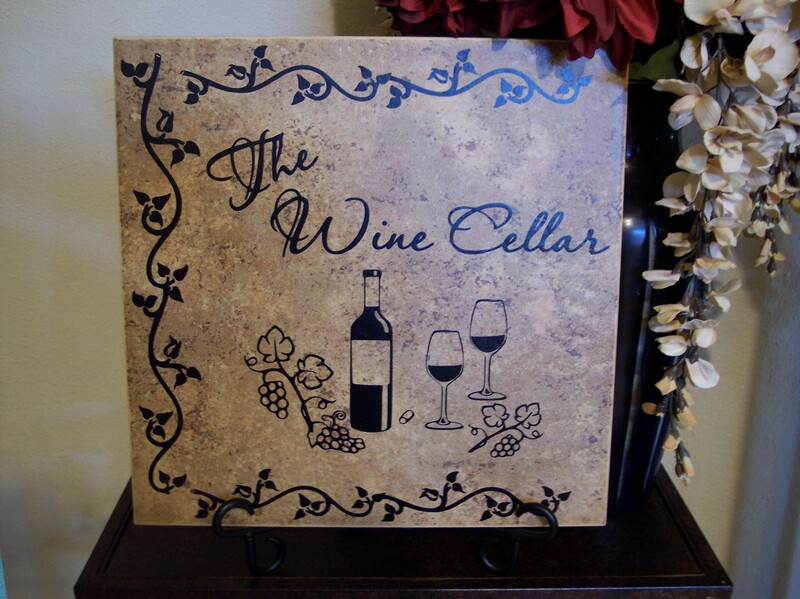 Custom Sandblasted Tile – $28. Black metal stand – $6. Available in either 12″ or 6″ tiles. 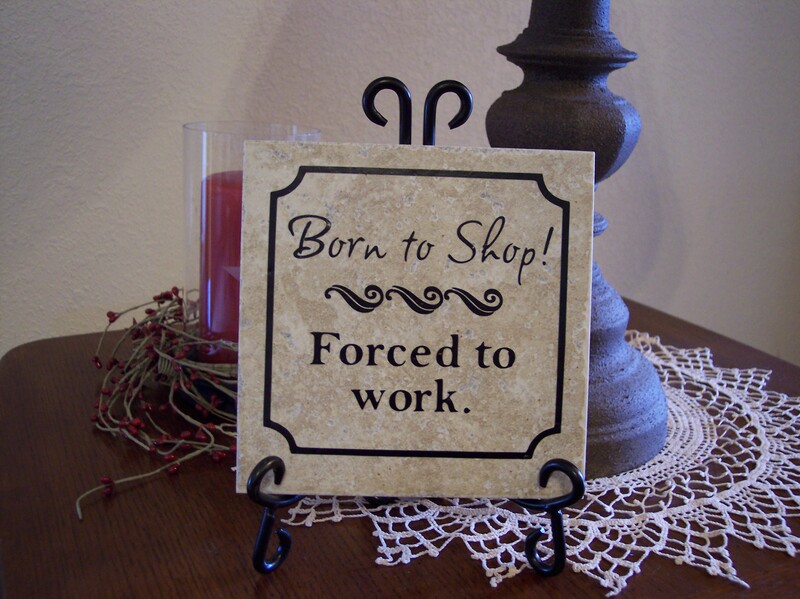 Born to Shop! Forced to work. — This has always been my own motto! Note: We also make this design on a little 4″ tile – $6 each. 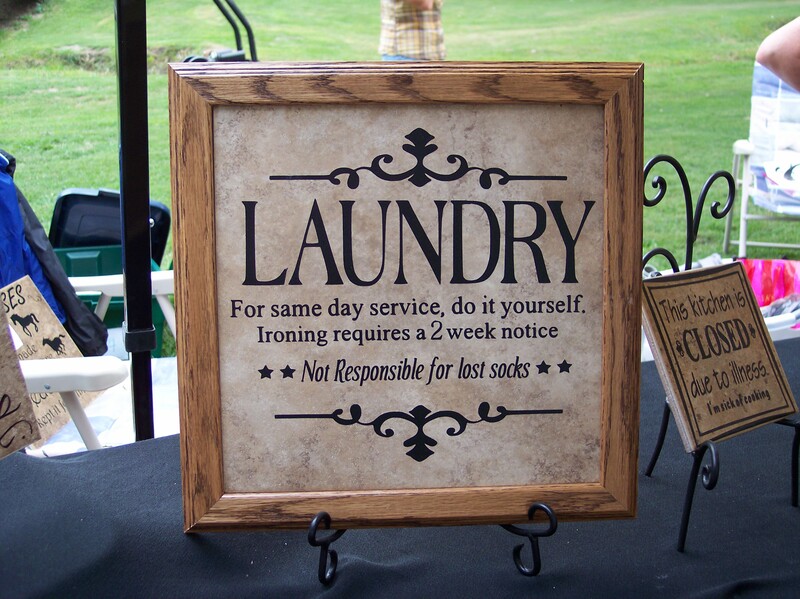 Laundry – For same day service, do it yourself. Ironing requires a 2 week notice. Not Responsible for lost socks! 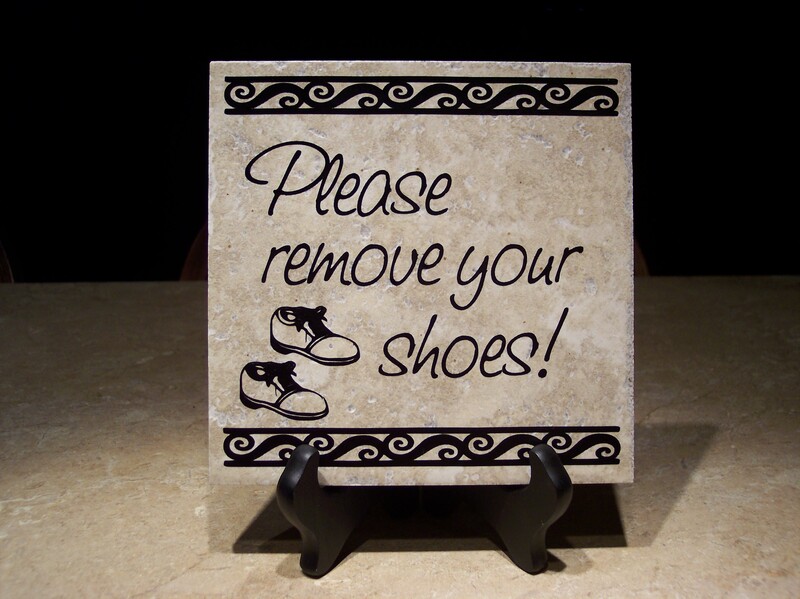 The perfect tile to hang in your laundry room! Be Wise and Believe . . . Be Smart and Strong . . . Be Wonderful . . . Be You.